In order to have success with your online business one task that you will need to learn and that is adding affiliate links in WordPress. I am making a big assumption here and that is that you are using WordPress to build your site. As of 2014 74.6 million sites depend on WordPress so my assumption is understandable. Anyway back to the topic on hand which is adding affiliate links in WordPress. We talked earlier about the bumps and pitfalls of Affiliate Marketing but we never really touched on adding affiliate links. If you are trying to make money online through affiliate marketing then you will need to link to the products you are trying to sell. 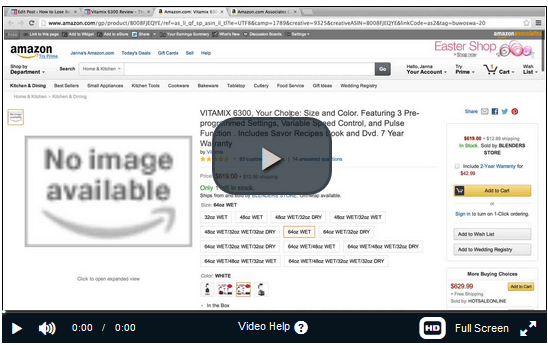 Places like Amazon give you links that you can use on your site. Now in order to get an affiliate link you need to be an affiliate. Signing up to be an affiliate is free. Sometimes they will ask to see your website. If you haven’t yet built a website around the product you will be selling you can just send them a link to one of your other websites. For whatever reason they just want to see a website. Once you are accepted as an affiliate they will give you a link or an account nickname. Clickbank, one of the largest digital marketplaces for affiliate products, gives you a nickname. When you find a product you wish to promote you just click on the promote button and a box will pop up. 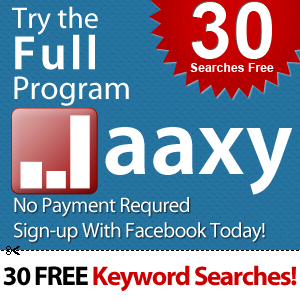 All you need to do is enter your nickname and Clickbank will create your affiliate link. A lot of marketers do not like the look of an affiliate link so they will try and mask it. There are free plugins that you can use that will make your affiliate link more appealing so there is no need to purchase software to do this. When you create your affiliate link at Clickbank you can also add a tracking code to your link. This can be very useful in finding out where most of your visitors are entering your site. Every product that can be sold through affiliate marketing will have a different looking affiliate link. The one thing they will have in common is they all will have some type of code whether it be numerical or a combination of letters and numbers to identify you. The code from Clickbank will be totally different than the code from Commission Junction, Linkshare, Shareasale etc. As mentioned earlier most marketers do not like the look of an affiliate link and will try and mask it. The link is rather ugly but I think the main reason marketers wish to mask it is most people know immediately that it is an affiliate link. Knowing it is an affiliate link can stop some people from clicking on the link. You can also add affiliate links to pictures or text by making the picture and text clickable links. The clickable text is usually referred to as anchor text. Although anchor text can lead just to another page on your site it can also lead to the product you are trying to sell. For more information about adding affiliate links in WordPress check out the following video.